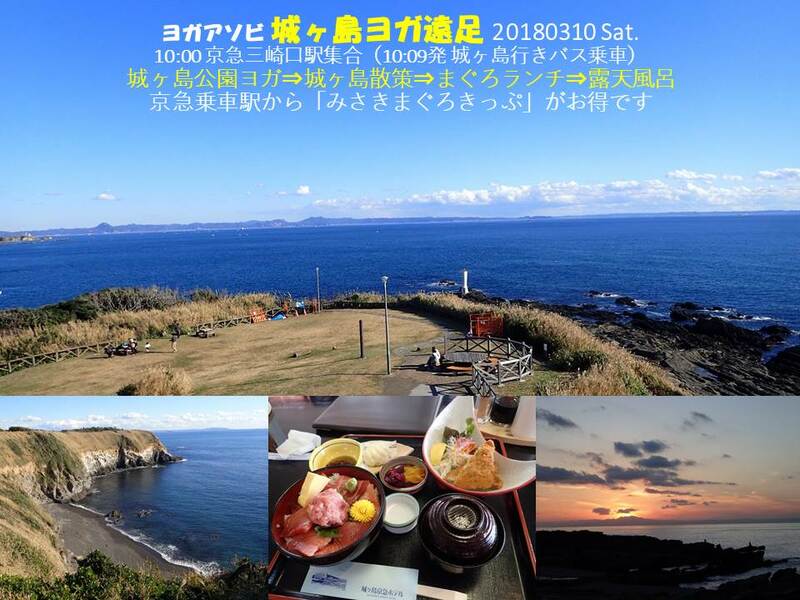 We will have one day trip to Jogashima on the 10th of March! Jogashima is a small island off the south coast of Miura peninsula, and is located about 35 km south of Yokohama city.The island is only 1.8 km from east to west and 0.6 km from north to south in width. And there is Misaki fishery harbor on the side of mainland.Misaki fishery harbor is known for one of the Japan’s best landing ports of tuna. Please check the picture below where and what time we can meet up! From the station, we take a bus, do yoga in the island, hiking, eating Tuna, and hot spring! Please email me if you want to join us! Let”s enjoy the beautiful spring! 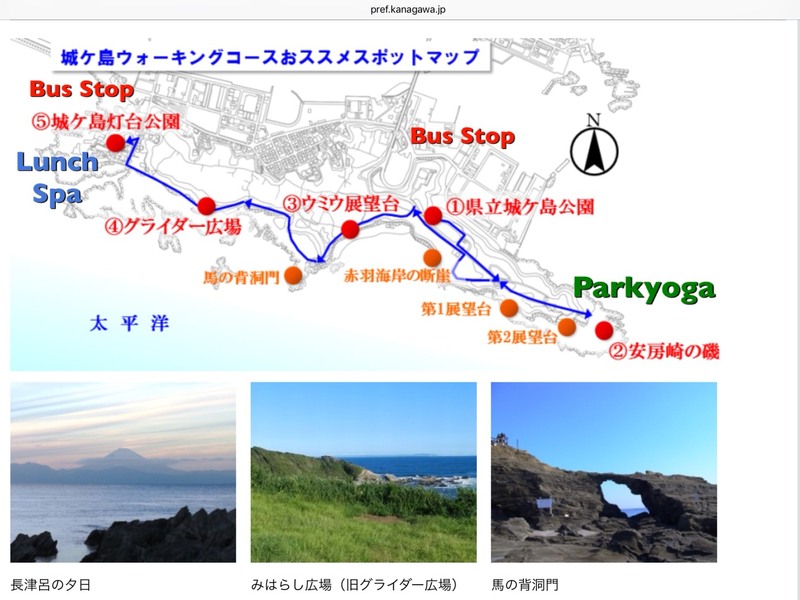 Next Article今日のパークヨガはキャンセルです　Today’s Park Yoga is cancelled.